Digital Giza | Journal of Egyptian Archaeology 19 (1933), pp. 111-112, "Review of 'Mycerinus. The Temples of the Third Pyramid at Giza'"
Journal of Egyptian Archaeology 19 (1933), pp. 111-112, "Review of 'Mycerinus. The Temples of the Third Pyramid at Giza'"
Faulkner, Raymond O. 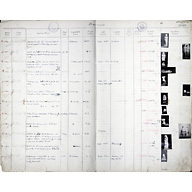 "Review of 'Mycerinus. The Temples of the Third Pyramid at Giza'." 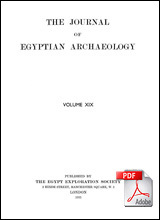 Journal of Egyptian Archaeology 19 (1933), pp. 111-112.